James “Jay” Devitt has been a Los Angeles DUI Attorney for over 26 years and is considered one of the most active and successful DUI lawyers by his clients, his peers, Judges and Prosecutors. He got the nickname “DUI Genius” from a client that thought he was going to jail after his 3rd DUI. Jay got the case dismissed by arguing and winning a motion to suppress the evidence after a “bad stop” by the police. When you hire Jay, he does not hand your case off to a secretary, legal assistant or another attorney. Jay will spend up to an hour interviewing you to get the facts of the case as well as your background. The “DUI Genius” got to be the best Los Angeles DUI attorney by handling every court appearance himself. In fact, other attorneys often ask him for advice or even hire him on their cases since Jay has a success rate for DMV hearings that is twice the state average. Jay is also one of the most honest attorneys in Los Angeles. If he cannot help you, he will not take your money or your case. However, he may be able to help even if you blew two or even three times the “legal limit.” The reason for this is that the Prosecutors and/or DMV may want enhanced penalties including a 9 month DUI class instead of a 3 month class. 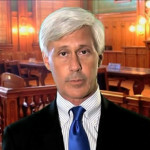 Jay can usually get the enhanced penalties dropped and may be able to get the loss of your driver’s license delayed if he cannot beat the case. Mr. Devitt is also president of the Malibu Bar Association and has handled over 3000 DUI cases. He keeps up on the latest scientific information by going to seminars, reading the latest court decisions and law as well as keeping a fully stocked law library. Mr. Devitt also gives seminars to other attorneys and groups about DUI law and he has been featured on KTLA, CBS2 and KCAL news. He has also been interviewed on KNX and KFI about current legal issues and was profiled by Los Angeles Magazine. Jay has been published over 20 times and is a noted authority on sentencing alternatives. James “Jay” Devitt has been a very successful attorney in Southern California for over 26 years. During that time he has handled over 3,000 misdemeanor and felony DUI cases. In those 26 years, Jay has won over 100 jury trials while only losing 2. The reason for his success comes down to three things: 1) Preparation 2) Preparation 3) Preparation. Mr. Devitt handles 98% of his own Court appearances. You will not be handed off to another attorney!